There is currently a bug on the Kickstarter website preventing updates from being published. We can load them in, save and preview them… but the publish button has vanished. We’ve contacted Kickstarter regarding the issue but based on queries to their social media accounts it’s a wide spread problem. HORIZON ZERO DAWN™: THE BOARD GAME NOW ON KICKSTARTER! CLICK HERE FOR hzd KICKSTARTER! 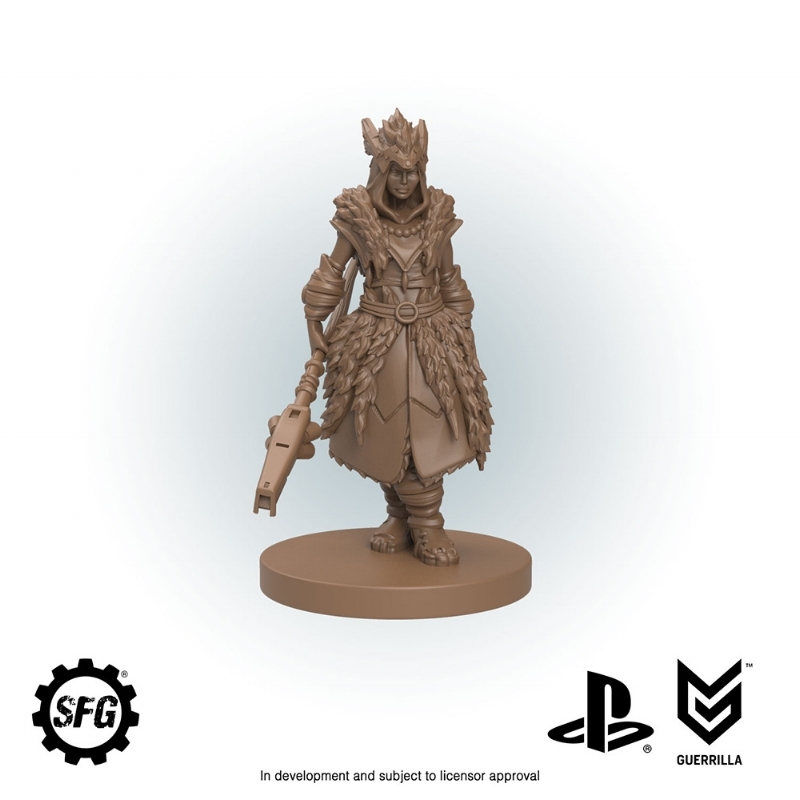 Steamforged Games is proud to announce we will be working with Sony Interactive Entertainment Europe and Guerrilla, developing an exciting board game for the Horizon Zero Dawn™ universe. Building on the success of previous titles including “Dark Souls™: The Board Game”, “Dark Souls™: The Card Game”, “Resident Evil™ 2: The Board Game”, “Godtear”, and “Guild Ball”, Steamforged Games will be launching this latest game, “Horizon Zero Dawn™: The Board Game” via Kickstarter soon. Steamforged has a proven track record of bringing triple-A video game licenses to life as board and card games with intensely thematic and faithful experiences for the fans and players. We take immense pride in working with amazing game properties to create dynamic and powerful board and card experiences in the physical game space. Horizon Zero Dawn™: The Board Game will launch via Kickstarter soon. Follow Steamforged Games on Facebook/Twitter/Instagram or subscribe to our newsfeed (http://feeds.feedburner.com/SfgNewsBlog-SteamforgedGames) for all the latest news on this exciting project. Recognised as a global leader in interactive and digital entertainment, Sony Interactive Entertainment (SIE) is responsible for the PlayStation® brand and family of products and services. PlayStation has delivered innovation to the market since the launch of the original PlayStation in Japan in 1994. The PlayStation family of products and services include PlayStation®4, PlayStation®VR, PlayStation®Vita, PlayStation®3, PlayStation™Store, PlayStation®Plus, PlayStation™Video, PlayStation™Music, PlayStation™Now, PlayStation™Vue and acclaimed PlayStation software titles from SIE Worldwide Studios. Headquartered in San Mateo, California, SIE is a wholly-owned subsidiary of Sony Corporation and has global functions in California, London and Tokyo.